Oumar Barou Togola is Founder and Chairman of the Board of Farafena Health Inc. 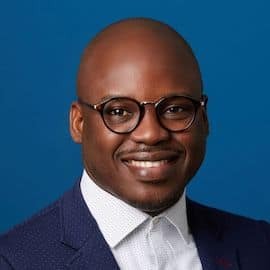 He is the vision behind Farafena, a social enterprise partnering directly with women farmers in Africa bringing African food products to North America. Oumar guides a diverse team of professionals in Canada and Mali focused on transparent social and economic development solutions at a village level. His team collaborates with businesses, village communities and social and economic development organizations that preferentially support the participation of women in community and economic development. Farafena is in the process of implementing software solutions that improve the transparency and traceability in its supply chain.